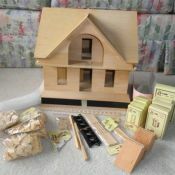 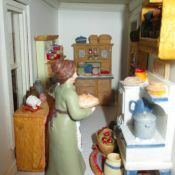 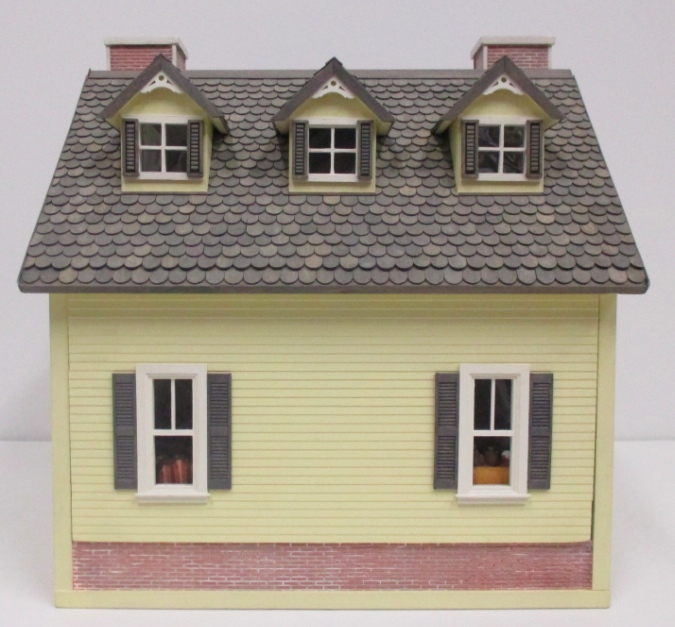 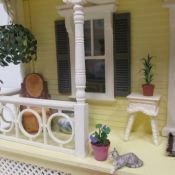 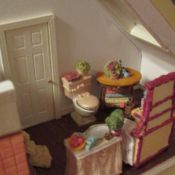 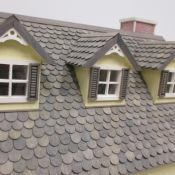 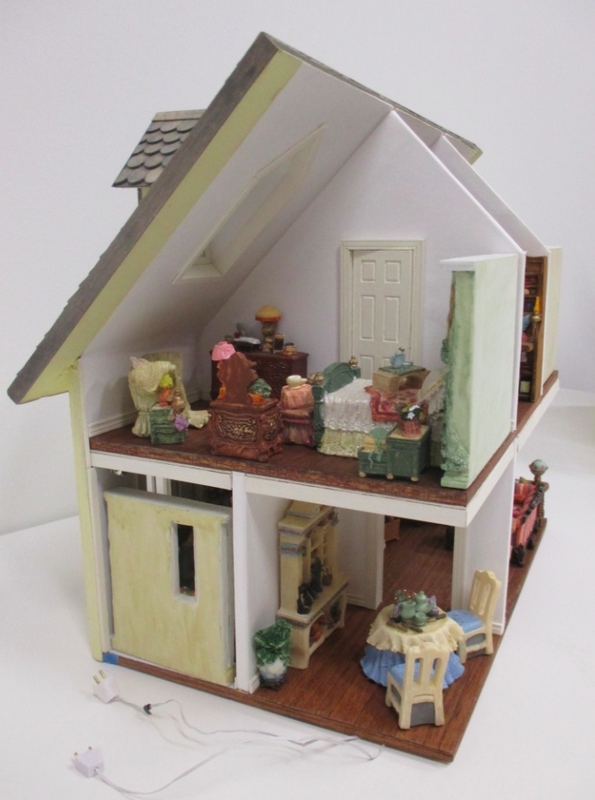 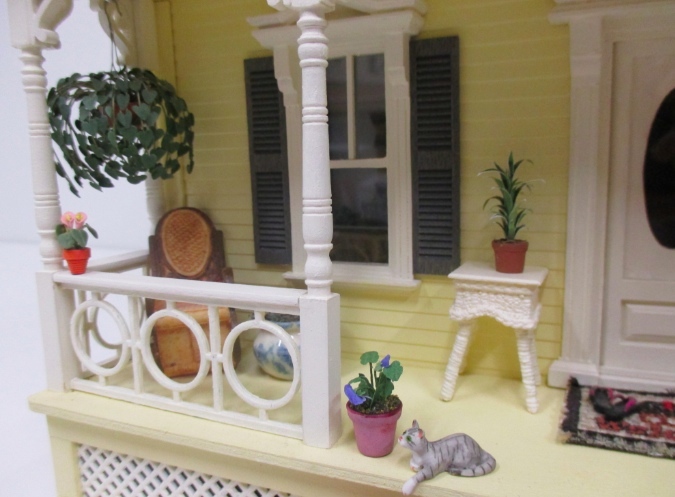 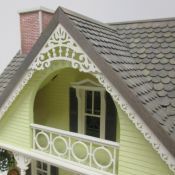 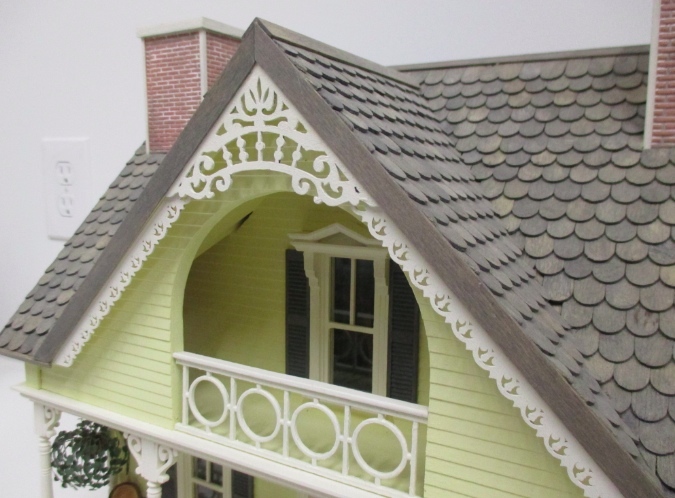 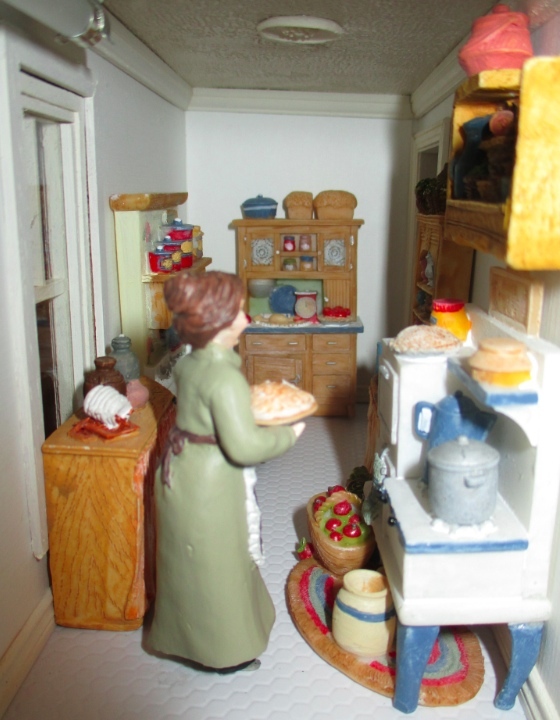 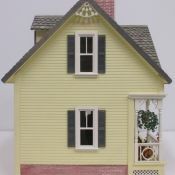 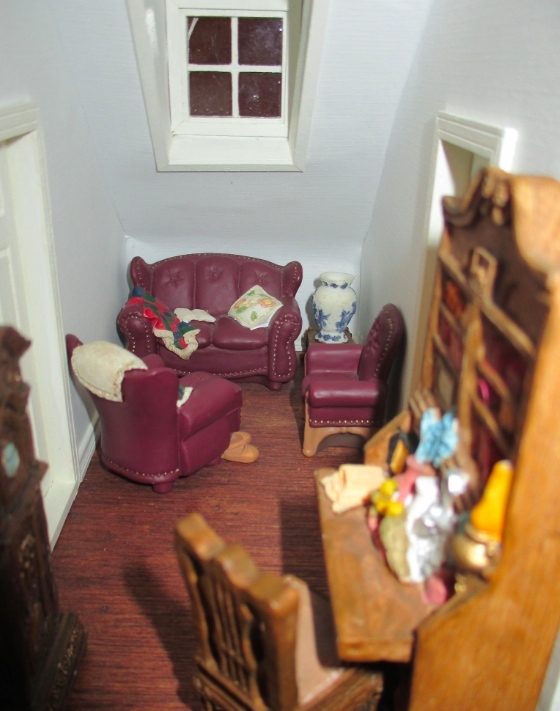 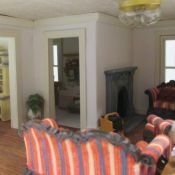 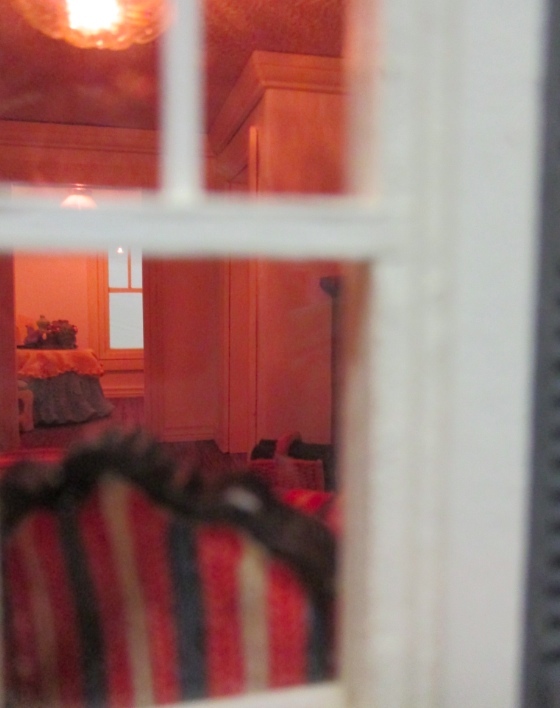 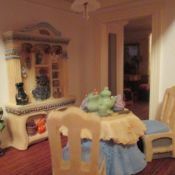 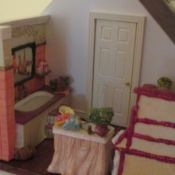 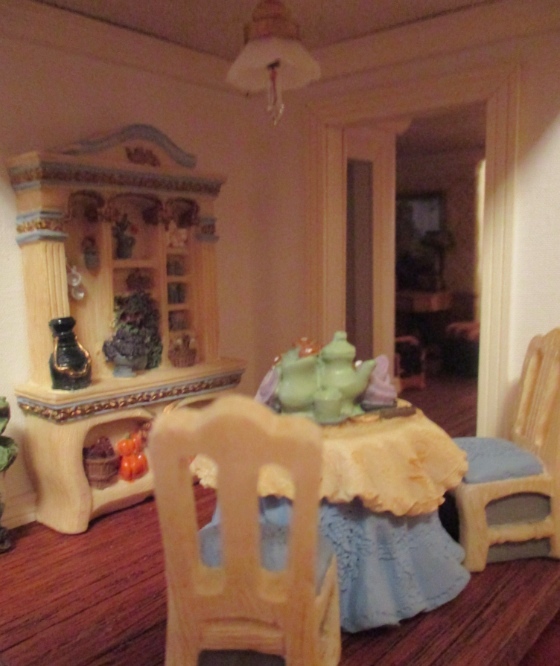 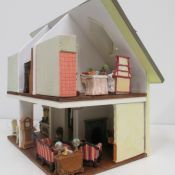 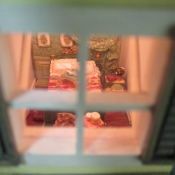 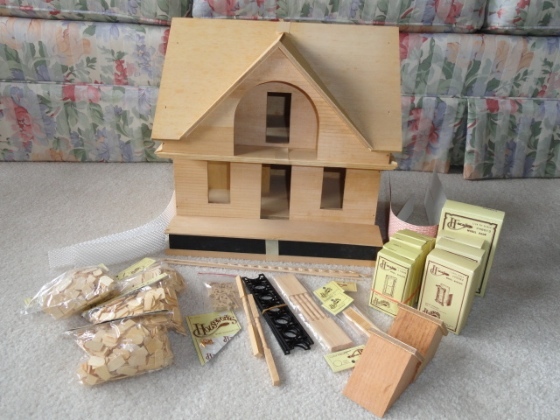 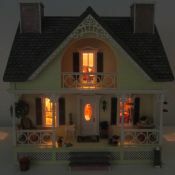 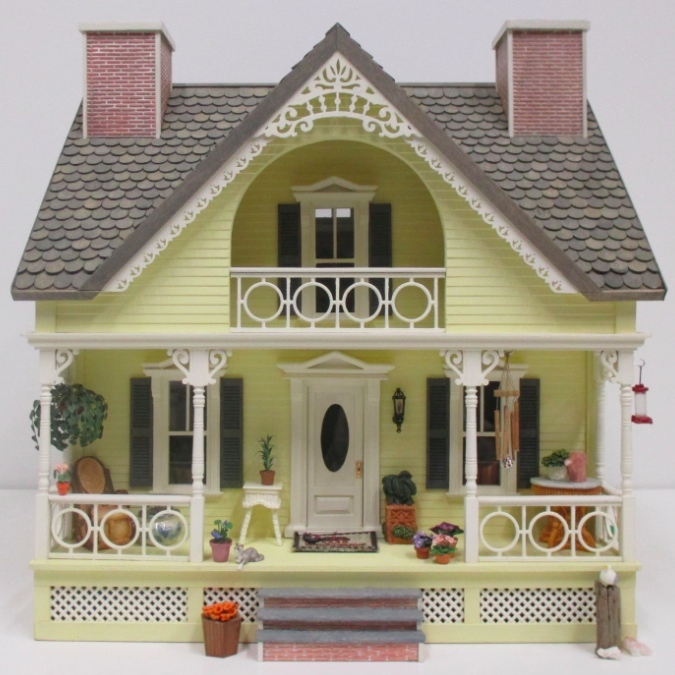 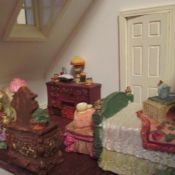 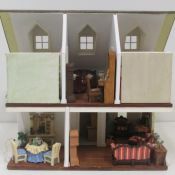 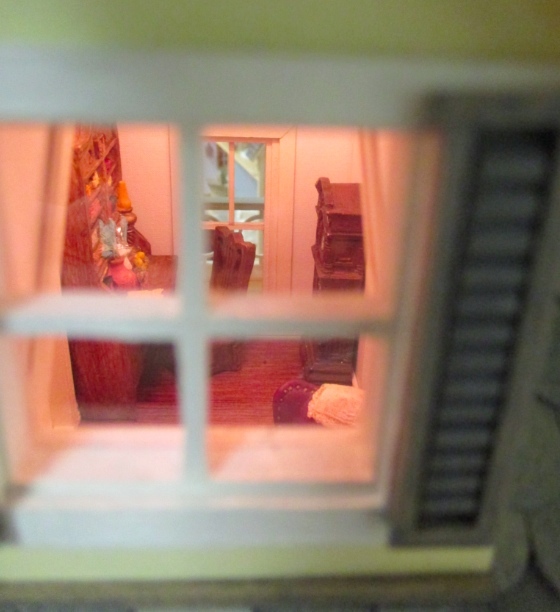 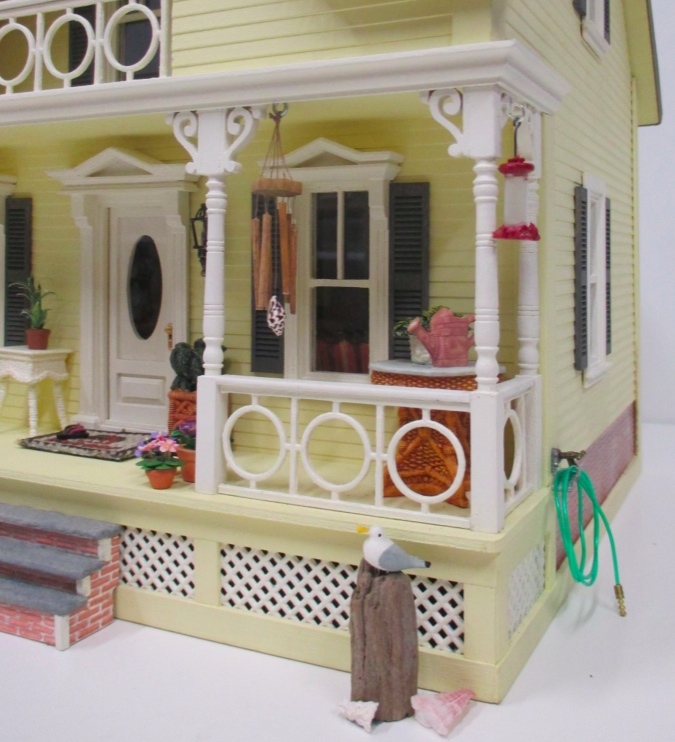 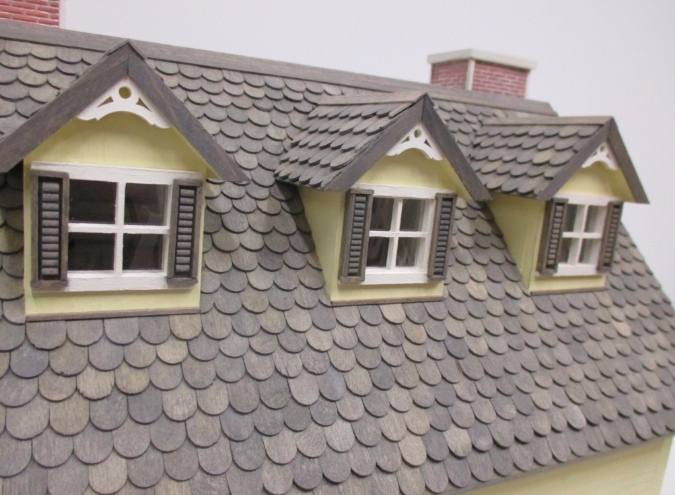 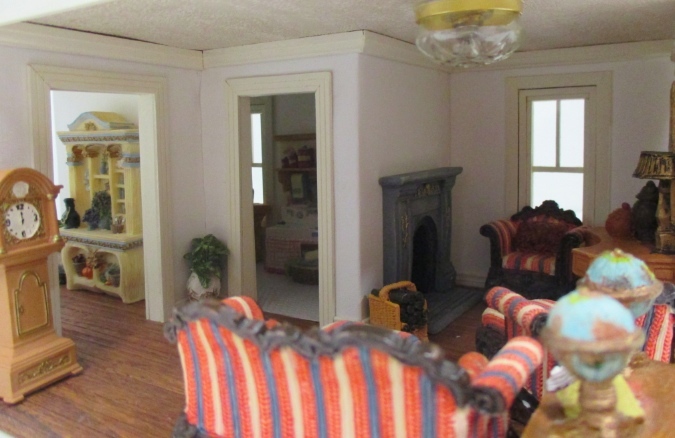 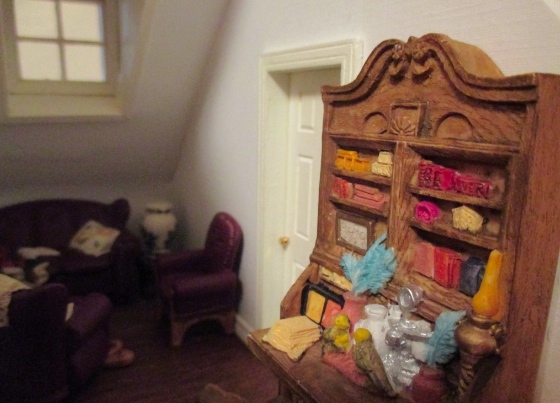 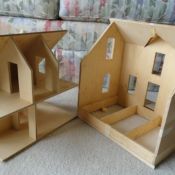 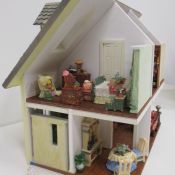 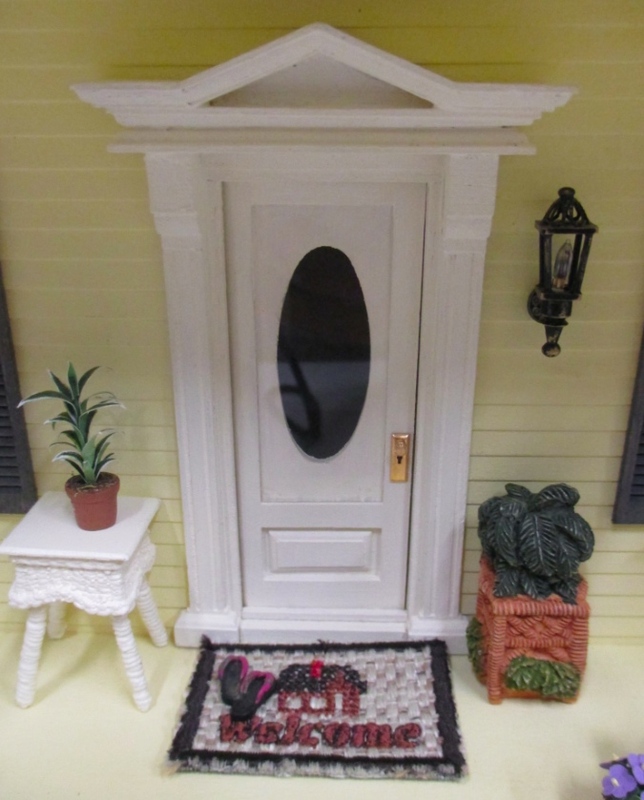 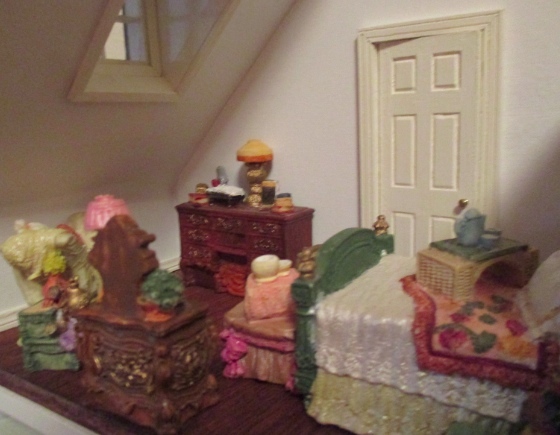 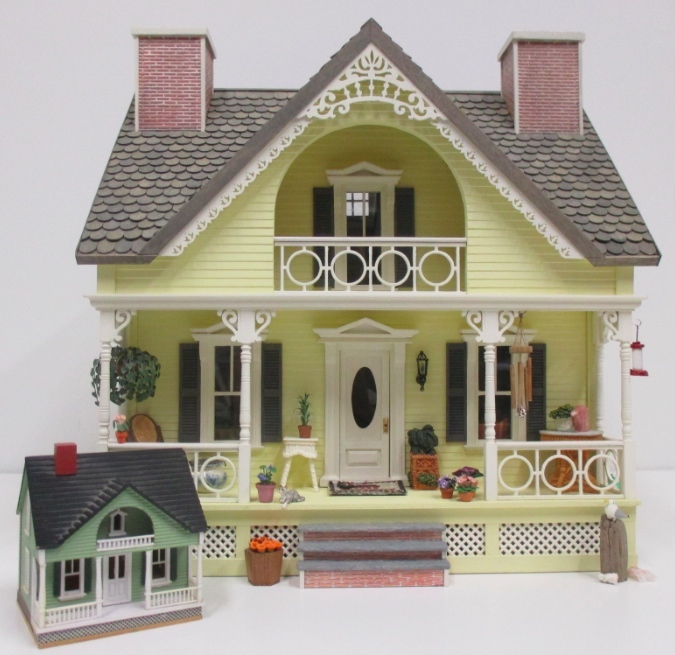 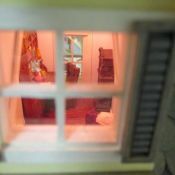 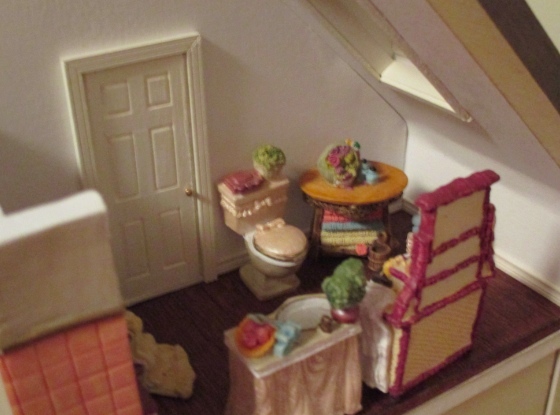 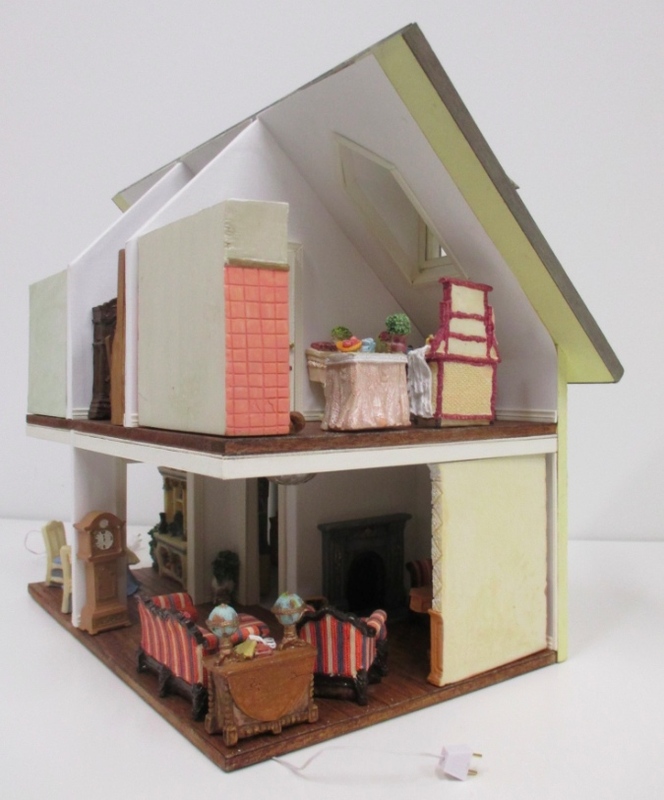 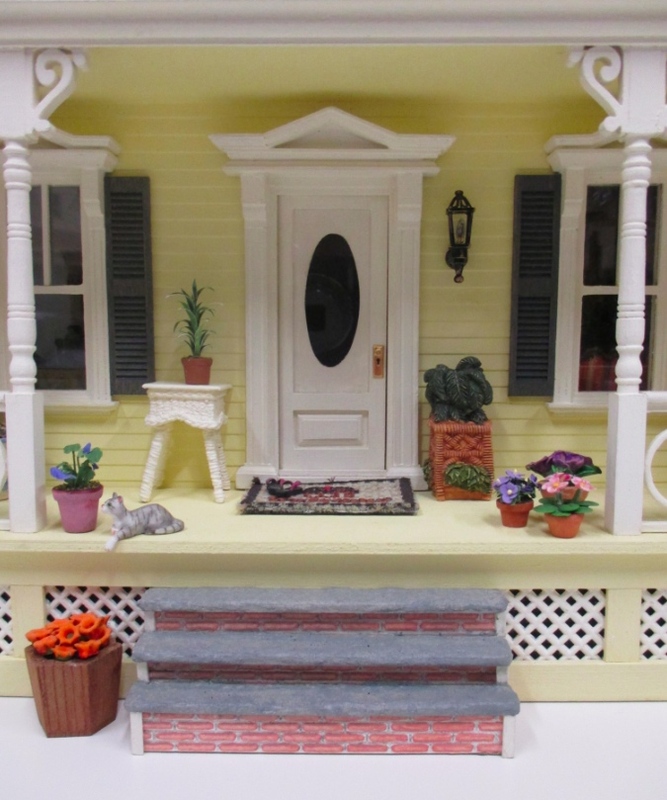 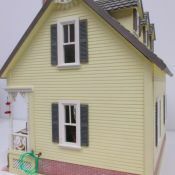 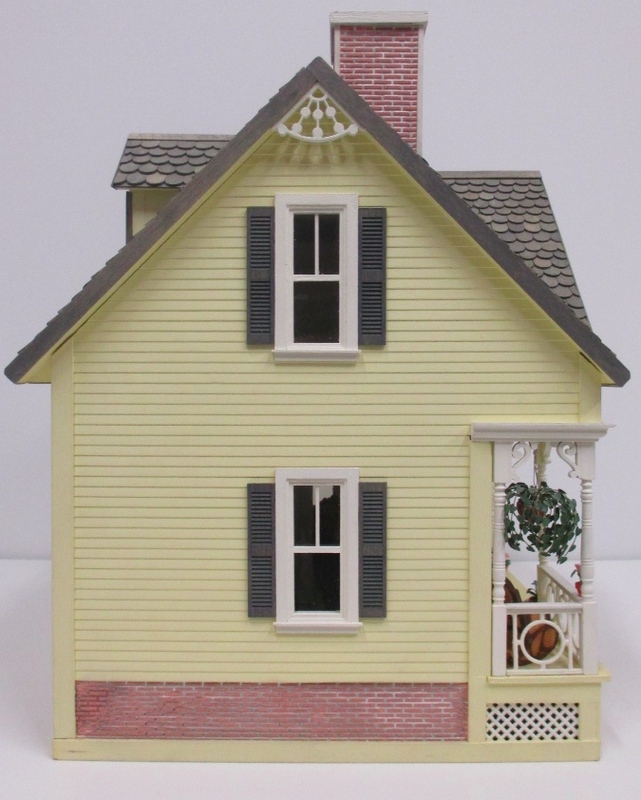 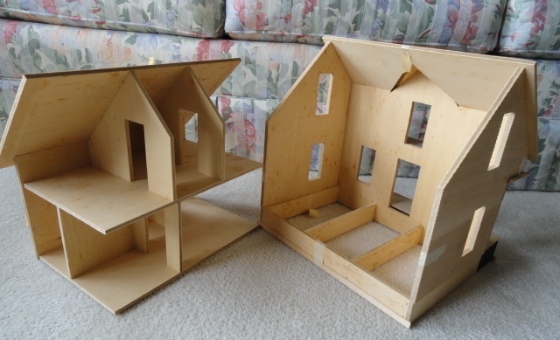 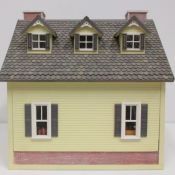 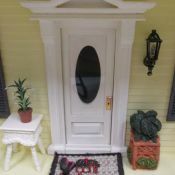 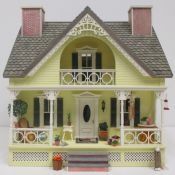 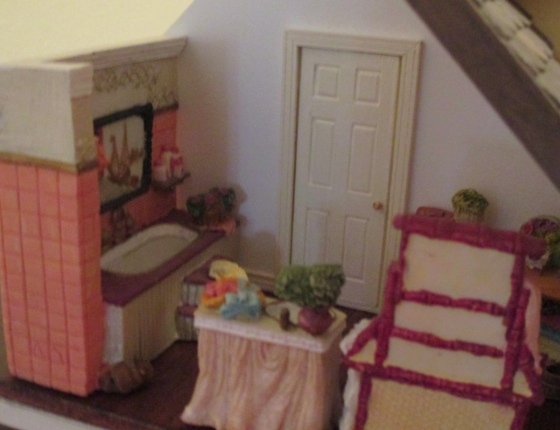 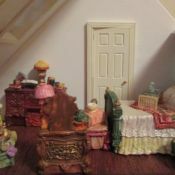 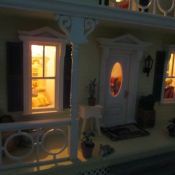 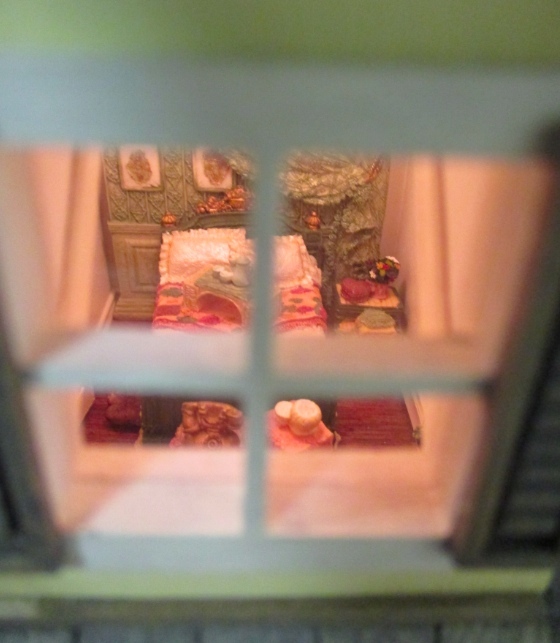 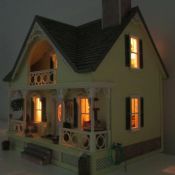 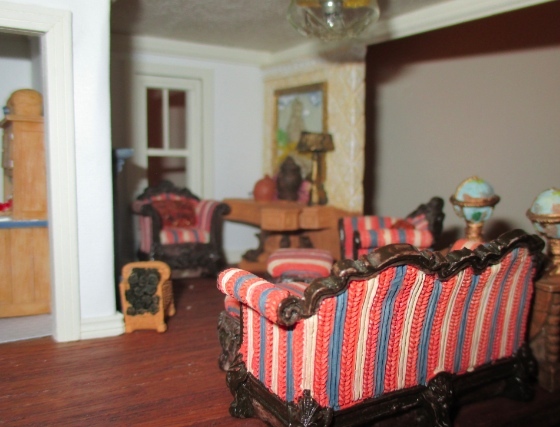 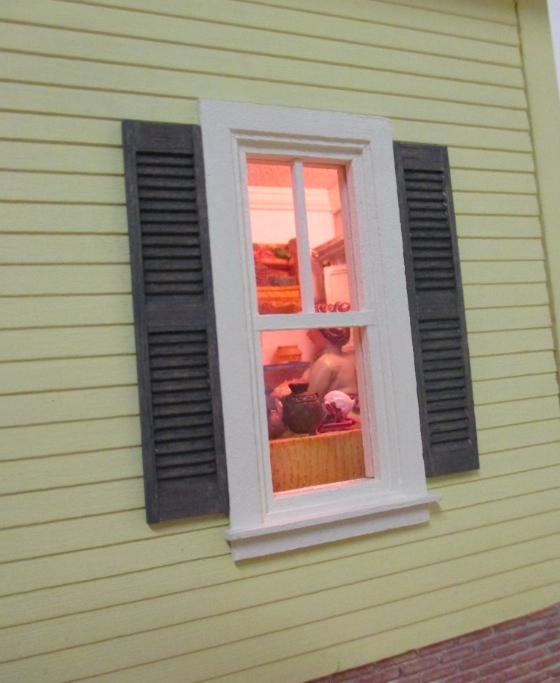 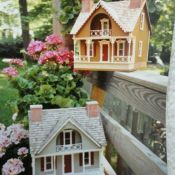 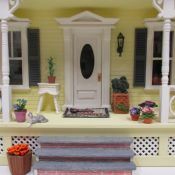 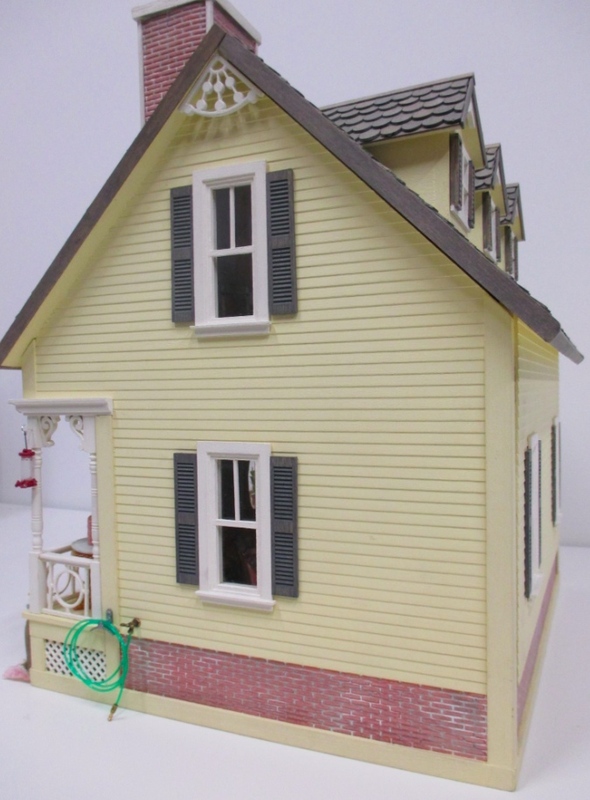 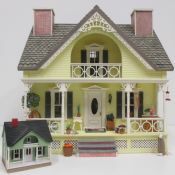 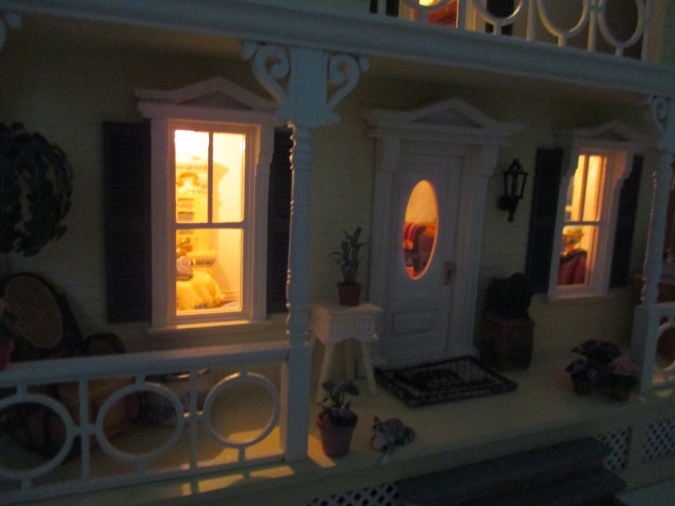 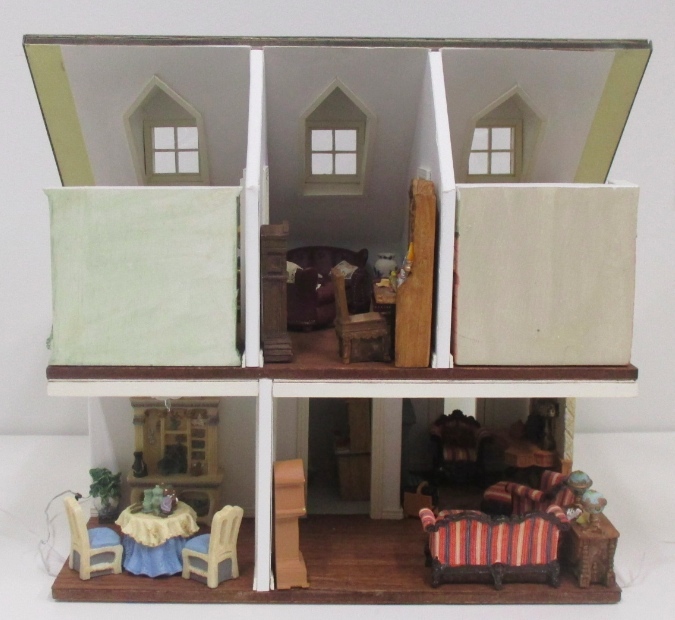 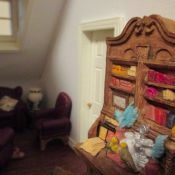 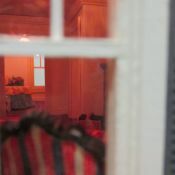 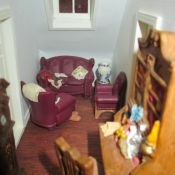 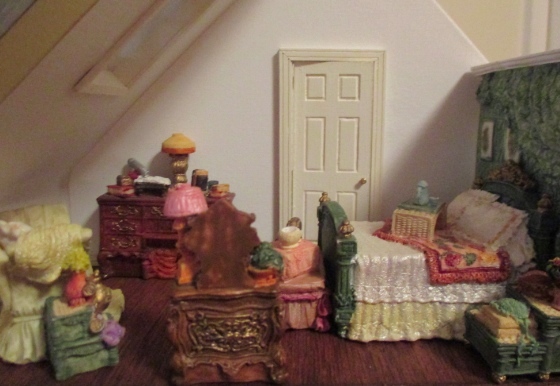 This half scale cottage is modeled after an HO scale Mille August “pull apart” house. 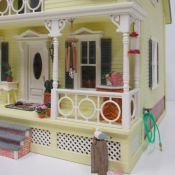 It was created by Jackie Kerr Deiber in the late 1980s. 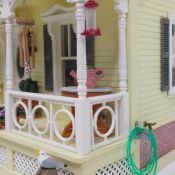 I bought the unfinished shell off eBay and finished it in 2014. 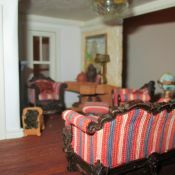 It’s furnished with resin furniture from Popular Imports and Avon. 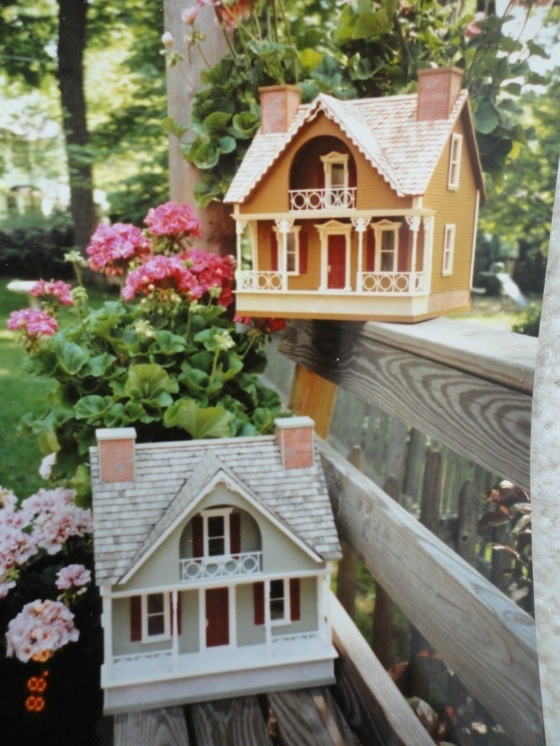 Read about the Gull Bay Cottage on my blog.